Going once, Going Twice, Sold! ~ This week adventurers looking to spend silver on some rare and exclusive items, should hurry on over to one of the new Imperial Auction House Managers being added in this week’s patch. While you’re perusing all the new shiny stuff up for auction, be sure to check your event challenges tab to snag the new event items introduced with the Spring Coronet event, and as always, find out all the additional details for this week’s goodies below! ◈ Spring Coronet event is on! • During the event period, Defeat Monsters, Gather, and Fish to get [Event] Fresh Peach Flower Petal and [Event] Vibrant Peach Flower Branch. • During the event period of 4/27 00:00 UTC ~ 5/16 Before Maintenance, obtain [Event] Fresh Peach Flower Petal x1 every hour through Challenges (Y). • Combine necessary relevant ingredients through the Processing tab (L) and obtain two types of Draughts! • Click <Here	> to find out in detail the Spring Coronet event! ◈ The New Challenges (Y) that were available for new adventurers have now ended. 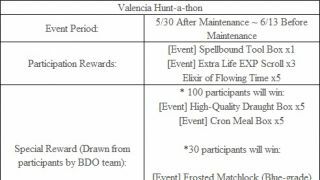 • Event Period: February 28th (After Maintenance) ~ April 25th (Before Maintenance). ◈ Griffon’s Helmet Boost event has ended. ◈ Ellie’s Mystical Lake Festival has ended. • The Special Fishing point at Ellie’s Mystical Lake Festival has disappeared. • The Ellie’s Mystical Lake event area has returned to its normal settings and is no longer a safe area. • Black Spirit quest which leads you to Ellie’s Mystical Lake has also disappeared. ◈ Sharp and Hard Black Crystal Shard gathering drop rate event has ended. 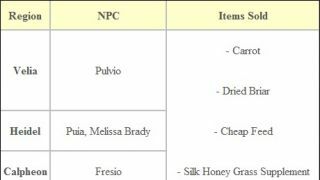 ◈ The following items can now be sold to NPC shops. 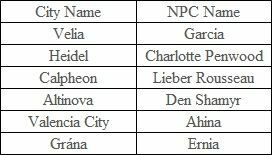 ◈ Imperial Auction House NPCs have been added to each city. • At the Imperial Auction House, special rare items will be up for bid. 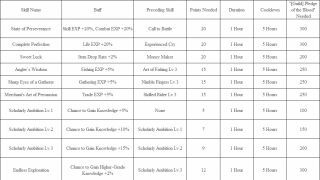 • When the auction house opens up, there will be a system message and the Imperial Auction House NPCs will start accepting bids. • When the auction is underway, you will be able to see the Current Bid. • While bidding is still open any Adventurer can place a higher bid, and the Current Bid value will change accordingly. • If a higher bid is placed a minute before the bidding was to end, bidding will be extended for an additional minute. • During that extra minute, if an even higher bid is placed, then the bidding will be extended for another minute. 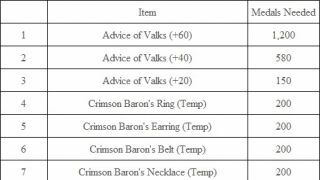 • The first Imperial Auction will start on the following schedule. • Click <Here	> to learn all about Imperial House Auction! 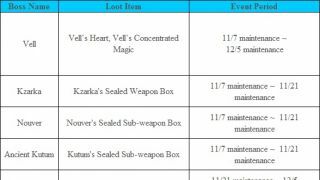 ◈ Items have been added for Imperial Auction House. 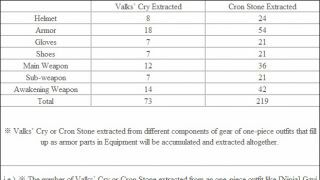 • Talk to Imperial Auction House NPCs in capital cities to place your bid. • You can simultaneously bid for all items that are currently up for auction. • The auction continues for 10 days. If a new high bid is placed 1 minute before the end, the bidding time will be extended by 1 minute. • If the server becomes unavailable due to emergency maintenance or for other reasons, the bidding time will be extended accordingly. ◈ The titles for Renown Score has been edited to better depict the original development intentions. ◈ The score criterion text for The Great One (formerly The Legend) has been simplified so that it doesn’t overlap with other text. ◈ Fixed the issue where the Max HP decrease debuff coming from a winning streak in Team Battle sometimes did not reset. ◈ Fixed the issue where you could not move your character after exiting the spectator mode of Team Battle’s one-on-one match. ◈ Fixed the issue where opponents in Team Battle were sometimes invisible. ◈ In the Individual Battle version of Arena of Arsha, the Max HP decrease effect depending on the matches time lapsed has been removed. Instead, the same effect will be applied to Adventurers on a winning streak. ◈ The current round will be displayed (numerically) in the Manage Matches window for Arena of Arsha’s Individual Mode. ◈ Place of Origin will be specified by the Transportation portion of the Receive Dispatch window. ◈ Fixed the issue where even regular guild members could collect Indomitable Flags. 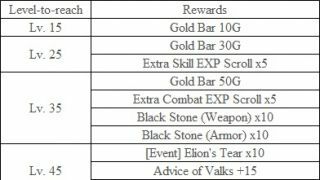 ◈ Guild Bonus system has been adjusted. • Guild Bonus can be set to be distributed by checking either ‘All’ or ‘Indv.’ (Individual) option button. Note that the overall UI to set this has been changed to be more fitting for this purpose. • You can check the ‘All’ option button to set the dividend level en masse. All members who are checked as ‘All’ will be applied with the same dividend level you set. • Check the ‘Indv.’ option button to set the dividend level individually. 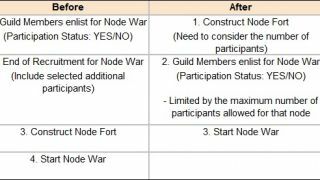 • The Guild Master can decide on which members will be checked as ‘All’ and which members will be checked as ‘Indv.’ in the same pool of guild members to receive the Guild Bonus. • However, Guild Bonus range at max 40 percent of the entire guild fund will remain the same. -Let’s say the Guild Master sets the Guild Bonus to be distributed as 1,000,000 Silvers. The total of guild members’ dividend levels (ex. if 5 members have a dividend level of 9, 1, 5, 2, and 3 respectively, the total is 20) is to be calculated first. 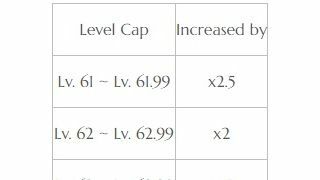 Next, the base bonus would be calculated as 50,000 Silvers which comes from 1,000,000 divided by 20 (the total level of guild members). Then the base bonus multiplied by the level of guild members respectively would decide on the final amount of Guild Bonus received. 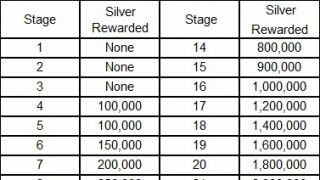 So a level 10 Guild member would receive 500,000 Silvers (50,000 Silvers (base bonus) * 10 (dividend level set by the Guild Master)). ◈ System message that read ‘The action combo used is invalid’ in certain situations has been changed to the message that reads ‘Please try again in a moment.’ To optimize the gaming environment, this system message will appear only once when this relevant situation occurs. ◈ Fixed the issue where characters pass through some rocks or boulders in Gavinya Volcano Zone. ◈ Fixed the camera glitch that happened while talking to some soldier NPCs in Glish. ◈ Fixed the camera glitch that happened while talking to some Giant soldier NPCs in Heidel City. ◈ Fixed the issue where the camera angle for NPCs Zirara and Virara were swapped. ◈ Fixed the issue where some NPCs still had generic unfitting names (Villager, Soldier). ◈ The navigation towards NPC Anne Laker, the Cadry Ruins node manager, will now work properly. 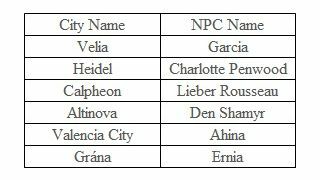 ◈ Imperial Auction House Managers have been added to Velia, Heidel, Calpheon City, Altinova, Valencia City, and Grána. • When you Interact with Imperial Auction House Managers, you can use money from the Storage of the city you are in to bid at the Imperial Auction. • Talk to the Stable Keeper or Wharf Manager NPCs where your mount or ship is checked in to use this function. You can only transport your mounts to areas you have already discovered. 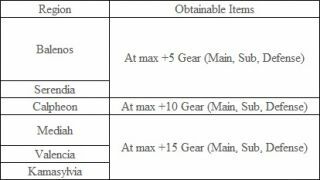 • If your mount has items in its inventory, the mount cannot be transported. 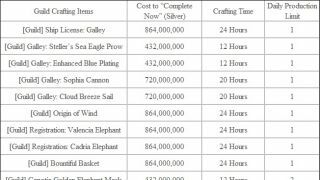 • Mount transport costs 100,000 Silver, and it takes 10 minutes to be completed. • In case of sailboats, you cannot move it to areas where sailboats cannot be placed, such as a riverside. ◈ Fixed the issue where player characters could get trapped in Epheria Frigate after changing servers while on the Epheria Frigate. ◈ Fixed the issue where it seemed like there was a gap between the player character and the cargo of Epheria Sailboat when the character leaned on the cargo. ◈ The Instant Accel function of Peridot Forest Path Wagon will now be displayed as a skill, Forest Rush. 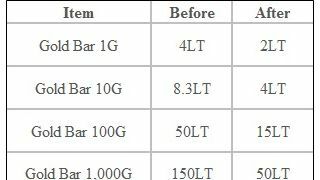 ◈ The Max Power Increase effect of Forest Path Wagon Cover and Forest Path Wagon Flag has been improved as follows. 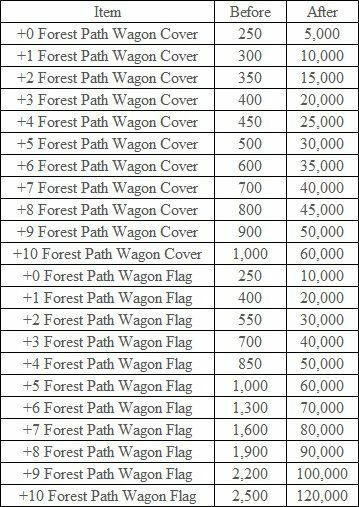 ◈ The amount of EXP for horses connected to Peridot Forest Path Wagon will now be the same as the amount the horses get from Noble Wagon and Merchant Wagon. ◈ Fixed the issue where Arduanatt’s wings sometimes disappeared upon using Instant Accel or jumping after Drift. ◈ The issue where Grapple worked once more after a CC skill is applied twice has been fixed (in PvP). 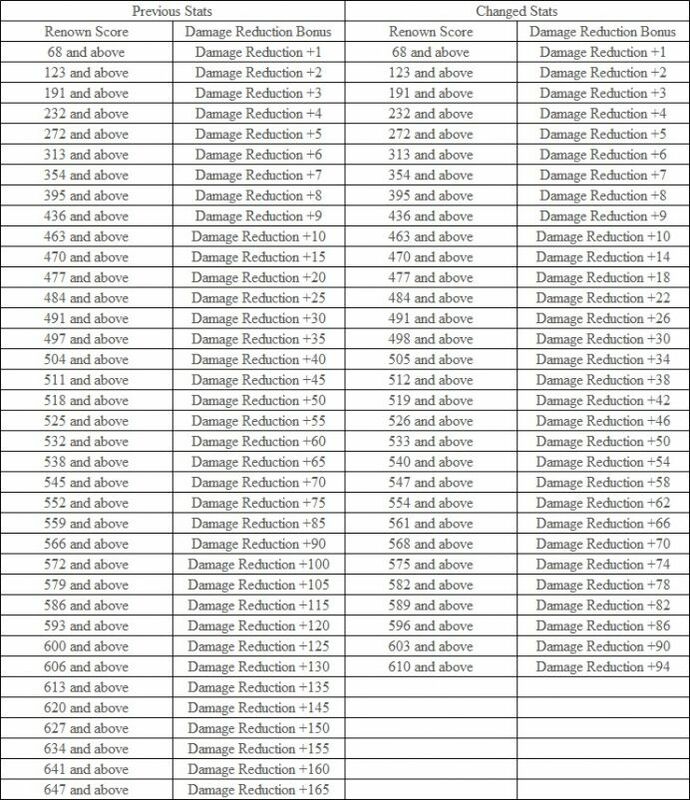 ◈ Damage Reduction Bonuses according to Renown Score have been adjusted. 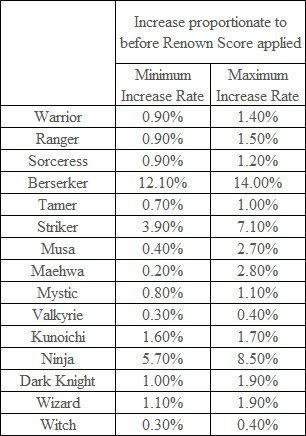 • This was adjusted to reduce the PvP balance differential among classes arising from Renown Score..
◈ PvP damage inflicted by each class has been adjusted as below (Arsha Server excluded). 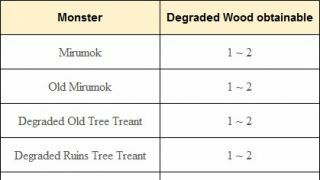 • As Damage Reduction Bonus has been adjusted with the Renown Score, PvP damage inflicted has also been changed accordingly. 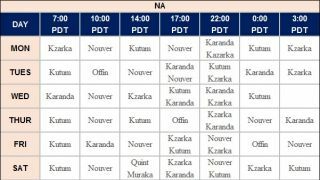 ◈ Balance changes-to-come in next week’s maintenance. • The base damage of Air Attacks will see a decrease. As Air Attack is difficult to activate compared to Down Attack or Back Attack, the increase in damage was greater. But this made ways for specific classes to have a higher advantage and thus, we’ll reflect all things considered and make the necessary decrease. 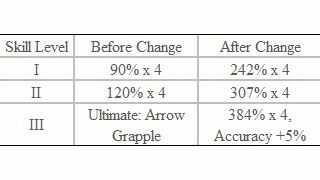 • Due to the changes in CC skills, the base damage of a Grapple skill will also increase. 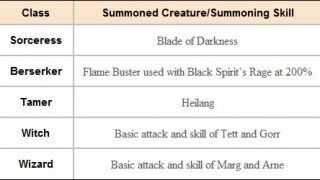 Compared to other CC skills where the damage and CC effect is applied altogether upon activation, most Grapple skills inflict lower damage and thus this will see an increase. 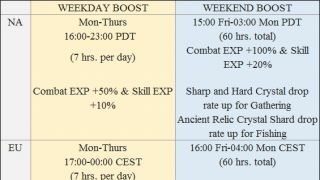 • CC skill method of Freezing will also change. 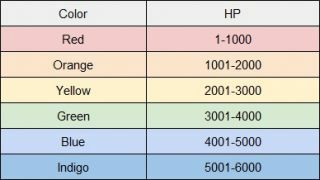 Currently, when Freezing is applied, CC count is not being applied properly so it will be changed to be counted the same way as other CC skills. ◈ More realistic physics has been applied to all characters’ capes and skirts/dresses. 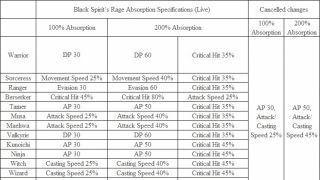 ◈ Visual hit effects for skills Razor Wind, Ultimate: Razor Wind, and Absolute: Razor Wind have been revised. ◈ Fixed the issue where the helmet portion of the Binari outfit looked unnatural while fishing. ◈ Fixed the issue where you could not use the skill Absolute: Severing Light in succession while mounted. ◈ Fixed the issue where hits were not properly registered upon pressing LMB to switch to Blade combat stance while moving on a non-combat stance after learning Absolute: Slice. 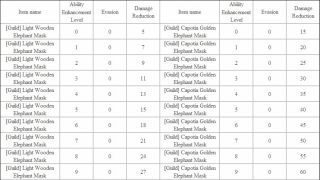 ◈ Equipping Lahr Arcien Helmet with hair style No. 2, 5, 12, and 15 (from the character customization screen) will now look more natural. ◈ Fixed the attack motion of Wandering Rogue Giant Soldier to look more natural. ◈ Fixed the issue where certain monsters sometimes would not recognize player characters. ◈ Icons for the following quests have been changed to fit the quest. ◈ Icons for Renown Score Titles have been added. • The icons can be checked in Inventory (I) window. ◈ The blue highlight that represents the character’s Renown Score in the Renown score window has been adjusted to be displayed in its proper place. ◈ Fixed the issue where abnormal quest list was displayed upon choosing the Quest menu while using Black Spirit’s Guide function. ◈ Fixed the issue where crashes occurred intermittently upon entering Character Creation. ◈ There is an issue where Renown Score of some adventurers are shown to be higher than the actual sum and this is being looked into and fixed. Boy, the devs are really pushing pvp. If you didn't play a lot, you'd think pvp was a really big thing in the game. Wrong!